The Silicon Valley Engineering Council is an alliance of engineering leaders here in the Silicon Valley who coordinates and assists communication between the various local engineering societies, as well as sponsor and promote engineering educational programs and outreach. 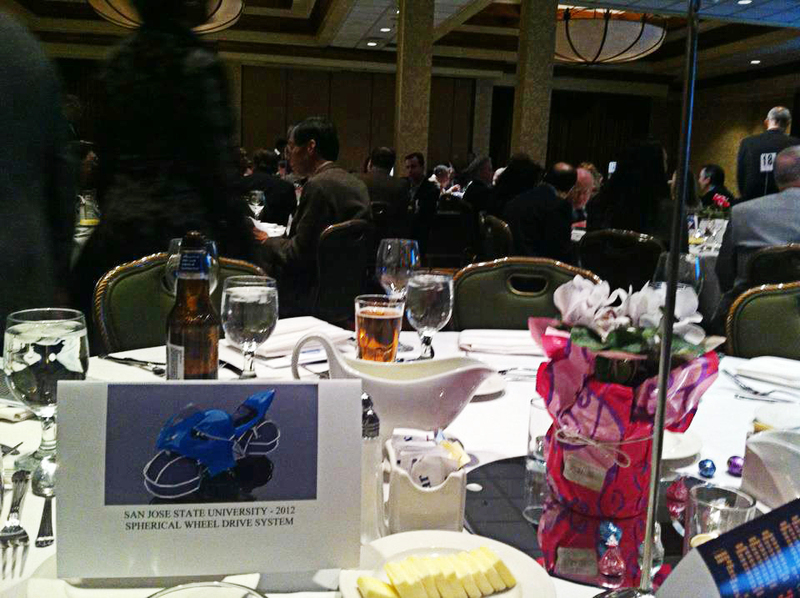 It was an honor to be invited to attend their 2012 Engineering Week Banquet and present our project to the attendees. The guests included Patrick Lo of NETGEAR, and Steve Wozniak, co-founder of Apple. Much to our surprise, a rendering of our project bike was printed out and placed on top of every table, with the name of our group. Below is a quick snap taken during dinner. We have a Computer Society as well as a CPMT presentation coming up to prepare for. There won’t be any rest for the SDS for quite some time it looks like. Stay tuned for many more updates to come in the following weeks.